Grief surprises. Sometimes it’s a gushing force that knocks the wind from you and sometimes it settles like a shadow darkening the edges for days like a low-slung cloud. It’s a song played in the supermarket, an old text message or a familiar laugh. Yesterday it came while I was packing the school lunches; a lump in my throat and a tumble of tears. Last week it gripped me right as I opened the car door to collect the kids from school – those simple tasks that I often take for granted and that my friend Alison, who recently passed away from cancer, no longer gets to do. As too many of us know, the horror of a cancer diagnosis is unforgettable. Medicine can help address the symptoms of an illness but like many diseases, cancer can leave a gruelling psychological and emotional legacy. In fact, many people find the mental impact of cancer harder to cope with than the physical. For the cancer patient or survivor, there is the physical challenges that undergoing treatment brings, then there is the practical that can include financial losses or difficulty performing everyday tasks, as well as the emotional upheaval. Their loved ones, meanwhile, might be battling with isolation, grief, loneliness and the stress of additional responsibility. Unfortunately, Ireland’s healthcare system lacks the full ‘recovery package’ that includes support for the full range of needs including the emotional impact. There are many ways to help cope with post-treatment issues but often, without expert guidance; few people know where to begin. ARC works hard at trying to plug that gaping hole in post-cancer care. 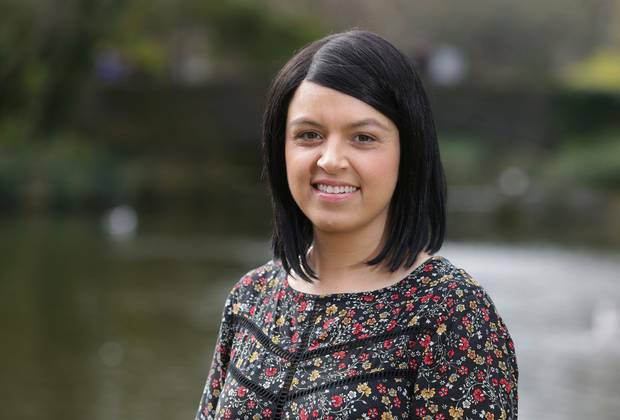 “It’s improving, but we’re nowhere near where we should be compared to other countries,” says Siobhan Kelly who works as an oncology nurse at the Mater Hospital and who nursed her sister Alison through her treatment. “We’d love to spend two hours at a patient’s bedside talking to them but the pressure of our jobs as oncology nurses means we don’t get that luxury. 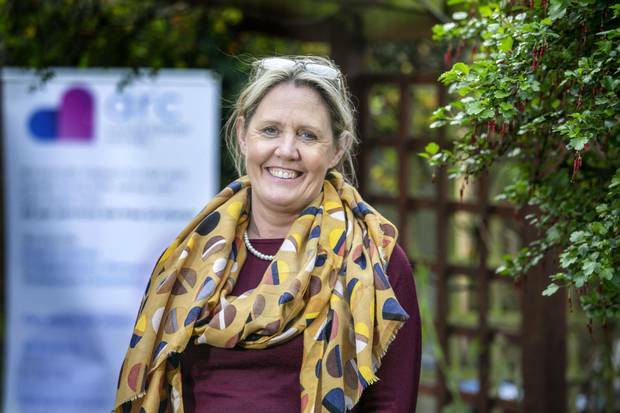 Having an ARC centre across the road from us is incredible.” Siobhan regularly refers people to the safe, comfortable, non-clinical centre – a place where they can have conversations and forge relationships with people who are unbiased and who understand that they are vulnerable and need empathy. Children too can avail of the service. The Climb Programme, for children aged between 5-11, is an art and play therapy programme. ARC also runs regular courses to help parents discuss cancer with children. “We try to take the fear out of cancer so that it can be discussed freely at home and we work closely with medical consultants who come and talk to groups here in ARC,” explains Patricia. “There are so many emotions that come with being diagnosed, we try to help people find the coping skills to process it all.” The hardest part is often walking through the door. Patricia recalls seeing people sitting in their cars, day after day, afraid to step inside and overcome with that bewildering feeling of what to do next once you’ve been diagnosed. Life doesn’t go back to normal after having cancer; it’s a journey of readjustment where people have to find a ‘new normal’. Living well in that new unfamiliar territory requires survival skills, adaptability and resilience and a lot of support. For 38-year-old Pamela McLoughlin, that ‘new normal’ has been made easier through ARC. Anyone who has suffered from cancer will appreciate how the disease can strip you of your identity somewhat and leave you feeling less than your normal self. “The treatment makes you feel pretty awful so it’ll be nice to look in the mirror and see an old version of myself. I’m looking forward to that, although I might need the next size up,” she laughs. Fellow ARC angel Jacinta Heslin, a mum-of-three from Dublin, is equally excited about the opportunity to feel ‘normal’ again. Like so many, she was a regular ARC Fashion Show attendee but never imagined she’d be on the other end of the catwalk until she was diagnosed with breast cancer in 2017 and walked through ARC’s door the following year. “Cancer changes your life,” she says. “I experienced the fallout when my mum was terminally ill with cancer, both my sister and I were then diagnosed with breast cancer and our families have all found refuge in ARC.” She’s apprehensive about ‘the catwalk’ but is equally excited about the prospect of doing something positive after such a ‘hellish journey’. “Plus my hair is finally growing back so it’ll be nice to get it coiffed,” she smiles. All proceeds from the show, run in association with Arthur Cox, will go to ARC support centres. ARC is also seeking volunteers to work one full day a week in either centre. The only skill prospective volunteers need is to be a good listener, as training is provided. Among the sea of supporters at this year’s ARC Fashion Show will be our little group. There will be an empty seat to honour our lovely, brave and magical friend who never missed a show. We will miss her running fashion commentary, her bright right lipstick and her unwavering positivity but we will take solace in the fact that she found great comfort in the company of all her great female friends, fashion and her ARC family. For further information, visit arccancersupport.ie.